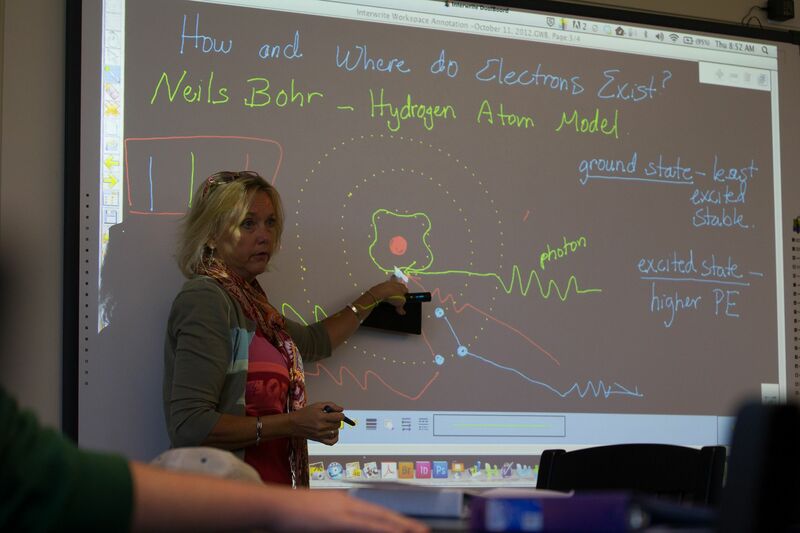 At New Hampton School, we strive to go beyond what you’d expect. We continuously evolve to meet the ever-changing demands of our fast-paced world. We educate and inspire students to discover new ideas, cultures, personal strengths and possibilities. Most of all, we do everything we can to make NHS a nurturing community where students set high expectations for themselves and go on to exceed them. THE FUND FOR NEW HAMPTON makes our commitment to going beyond expectations possible. It’s a catalyst for growth at NHS, but it’s only as strong as your support. Also, if you haven't checked out our #GivingTuesday videos, click here to view all our updates and progress on #GivingTuesday! 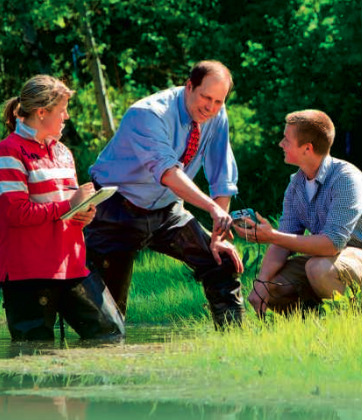 The Fund for New Hampton supports academics that go beyond homework and lectures. 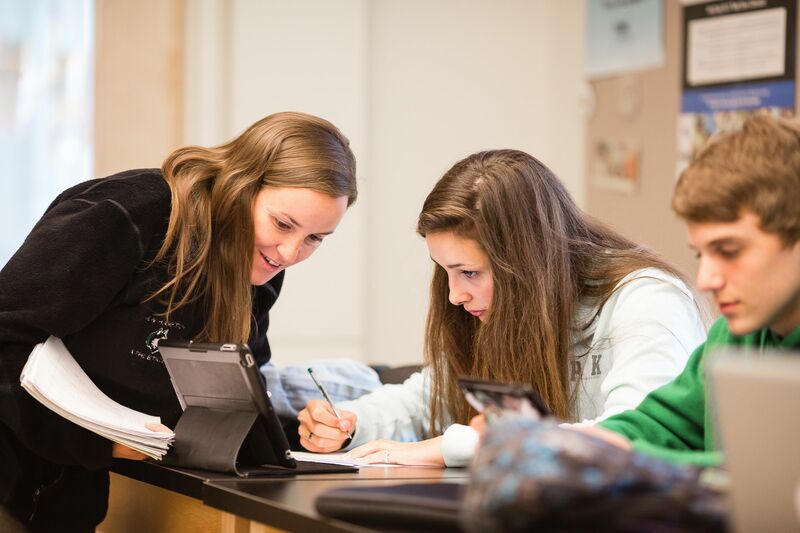 Because of your gifts to Inspired Teaching and Learning, NHS students dive head first into Project Week; build cutting-edge technology in STEM classes; spearhead service learning initiatives; and explore the world via personal iPads. They are challenged by International Baccalaureate classes, nurtured with individualized academic support, and trained for 21st century success. Not to mention, they’re taught by the best. Inspired Teaching and Learning also supports our world-class faculty’s ongoing professional development and ensures that NHS will continue to attract and retain creative, dynamic talent. When you give to Beyond the Classroom, you support New Hampton’s efforts to make our school life vibrant, sustainable and filled with opportunities. Your gifts allow students to engage in countless extracurricular pursuits— ranging from athletics, music, film and art to campus events and weekend excursions—and delve into the ones they love most. More important, your gift empowers students to stretch themselves, explore their creativity, find their voices, and make a difference. With your help, NHS students will continue to unleash the passions that shape their futures. Impressive figures, yes, but your giving impacts so much more than dollars and cents. Gifts designated for Access to an NHS Education allow exceptional students from different cultural and socioeconomic backgrounds to realize their potential within our walls, enrich our student body with fresh perspectives and turn big ambitions into bright futures. 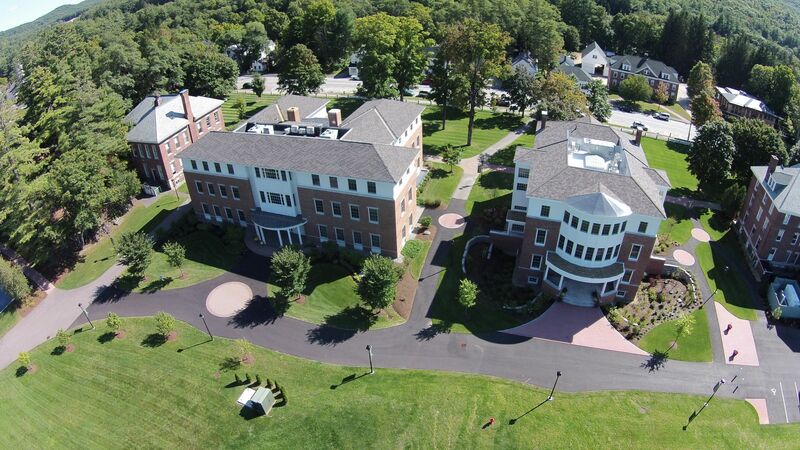 Equipped with state-of-the art academics and performing arts buildings, comfortable living spaces, professional-grade athletics facilities, and pristine grounds, New Hampton is equal parts launch pad and home away from home. It’s an idyllic place to learn, play and succeed, and we are constantly working to make it better. In 2015 alone, we renovated Moore House and Gnerre Field and added football bleachers and a press box. In 2016, we will break ground on the brand new $8 million Jacobson Ice Hockey Arena. With your support, we can realize our plans for an even better Husky Nation. The best way to support the Fund for New Hampton is by giving Where the Need is Greatest. Though we greatly appreciate earmarked donations, unrestricted gifts are particularly valuable in that they finance Fund initiatives while empowering NHS administration to prioritize needs as they arise, seize new opportunities, and react to unforeseen challenges. To make the biggest possible impact on New Hampton, go beyond expectations and give Where the Need is Greatest today.